Readers, I’m mixing things up for you! I know I’m usually all about the dinners out in Glasgow, but today I’m doing brunch. Oddly enough it’s the first time I’ve EVER been for brunch in town, considering I spend 5 days a week working there. 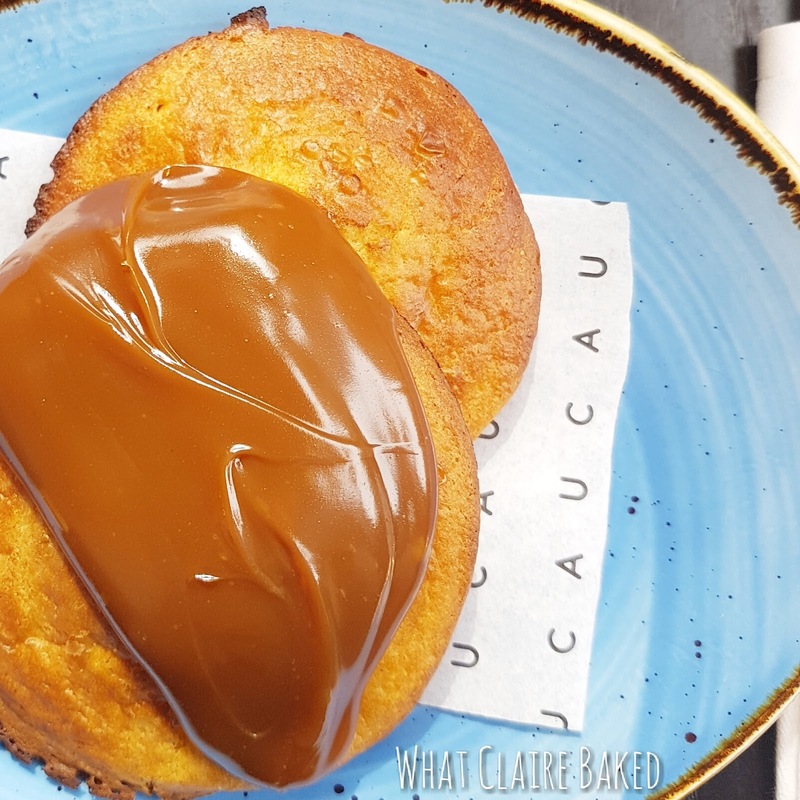 We went for a 10.30 brunch at Cau – the Argentinian steakhouse on the corner of Ingram Street and Queen Street near to GOMA. I’ve walked past so many times but never realised they had a brunch menu as well as lunch and dinner. We kicked off our brunch with homemade smoothies – I went for the Very Berry whilst Mr WhatClaireBaked went tropical. 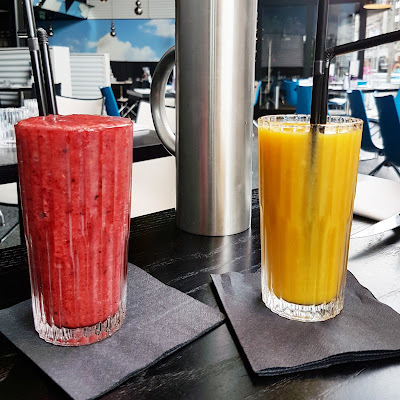 Smoothies are £3.75 each, are made fresh and it’s a biiiiig glass you get. Usually I’d go for something “cooked” on a Saturday morning and although it was a dreich day, I wasn’t really feeling it. 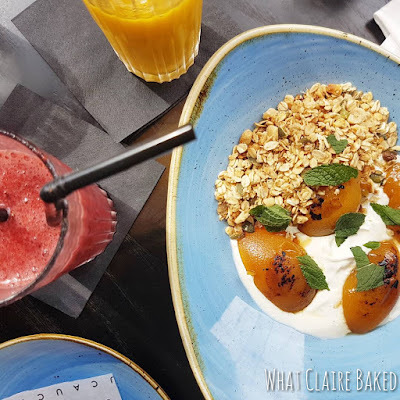 I decided to try the coal roasted peaches, which arrived warm and a little charred with granola, yoghurt, honey and fresh lime leaves on top. Unable to resist the sight of pancakes on the menu *disclaimer these were on the KIDS menu - I ordered two with dulce de leche. Back in 2011, Mr WhatClaireDid and I went on our first holiday together to South America and I tried dulce de leche for the first time. Ever since, I’ve gone out of my way to try and find places to order it from! They arrived hot and covered in sweet, sweet sauce. 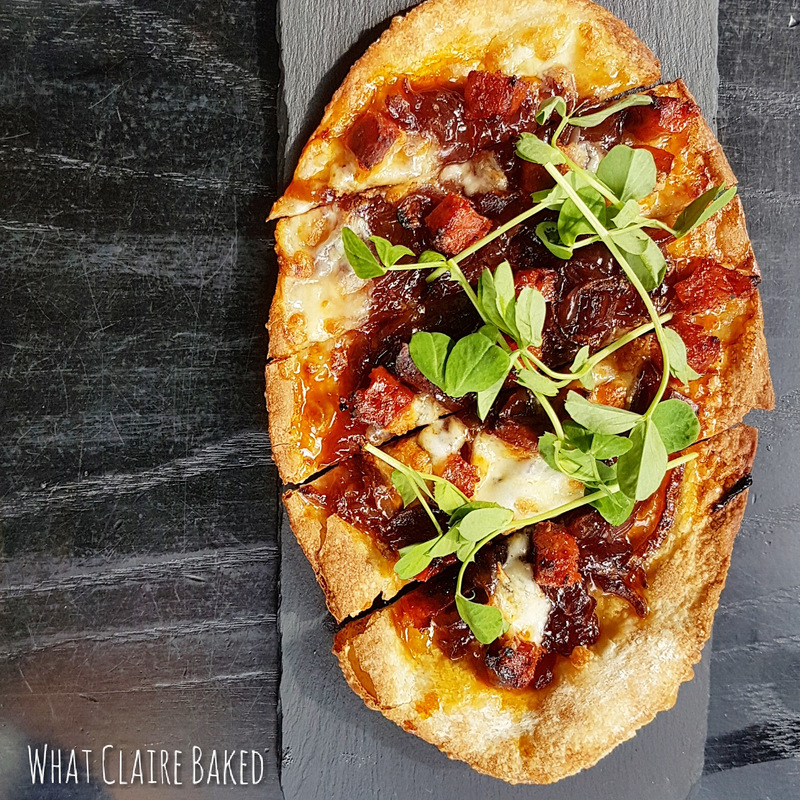 Not forgetting my dining partner – he went for the flatbread with chorizo, caramelised onion and mozzarella flatbread at £6.95. The menu is good value – the most expensive thing is the full breakfast at £9.95. We were also recommended the steak and eggs, which hopefully I’ll try next time we go. 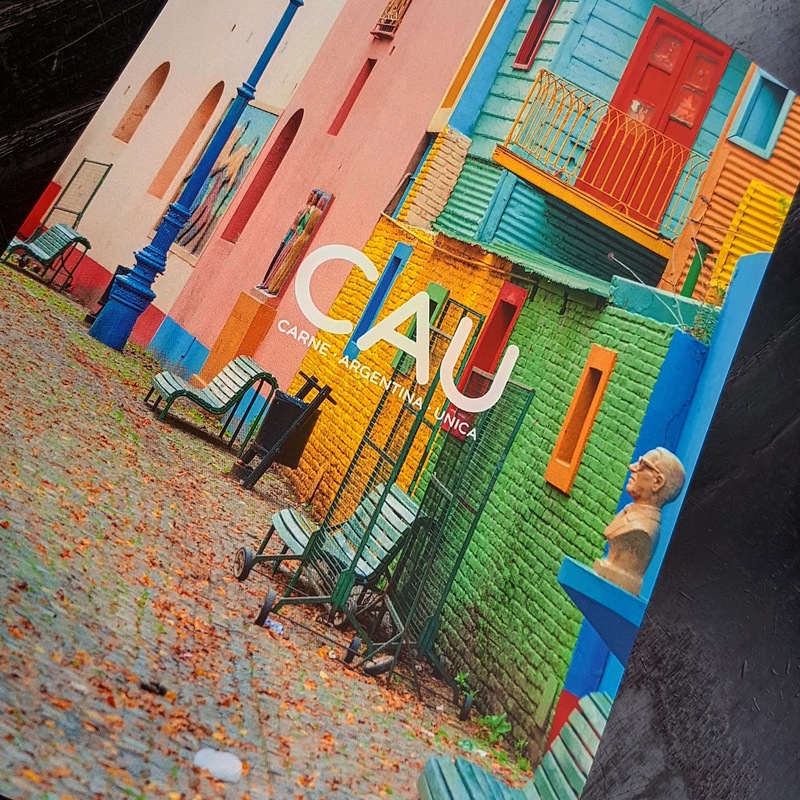 Coffees are priced around £2.50 and there’s a kids menu, making Cau suitable for families out and about in the city on the weekend, looking for somewhere to go. It was fairly quiet when we went in, but I can imagine a great lively atmosphere when the restaurant is full. We did find the background music quite loud – but this is likely due to the quiet time we visited more than anything else. 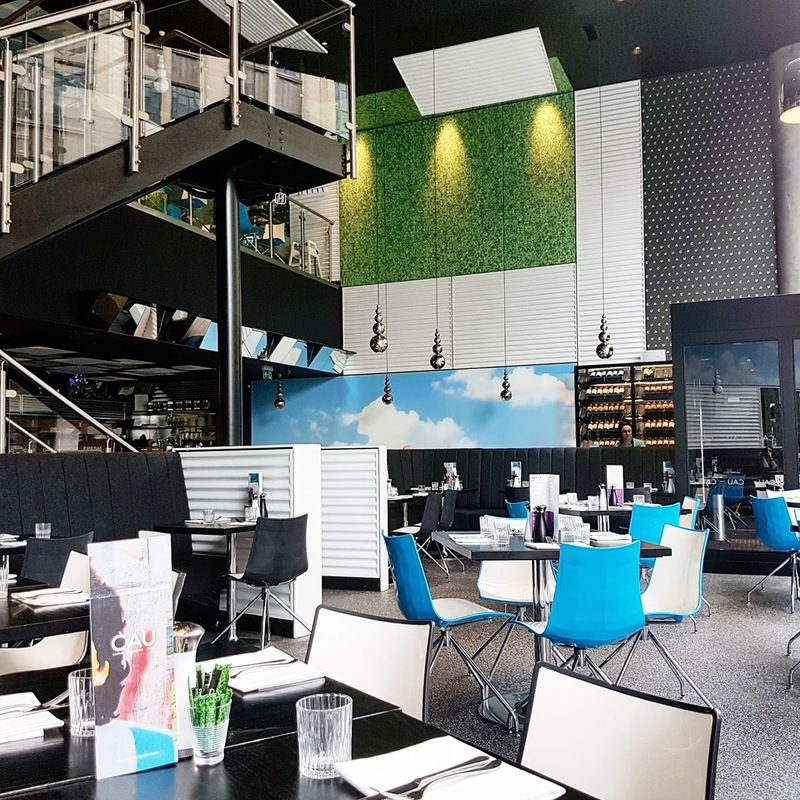 The staff were really helpful and didn’t rush us and we really liked the contemporary interior and cool, modern furniture. The glass walls to the front of the restaurant are also great for people watching. Cau brunch is served from 9am on weekends and to find out more about their Glasgow branch, visit their social pages on Facebook, Twitter and Instagram. Disclaimer: I was provided brunch for two in exchange for a review. Any opinions expressed are my own. We're going today for brunch, still can't decide what to have.